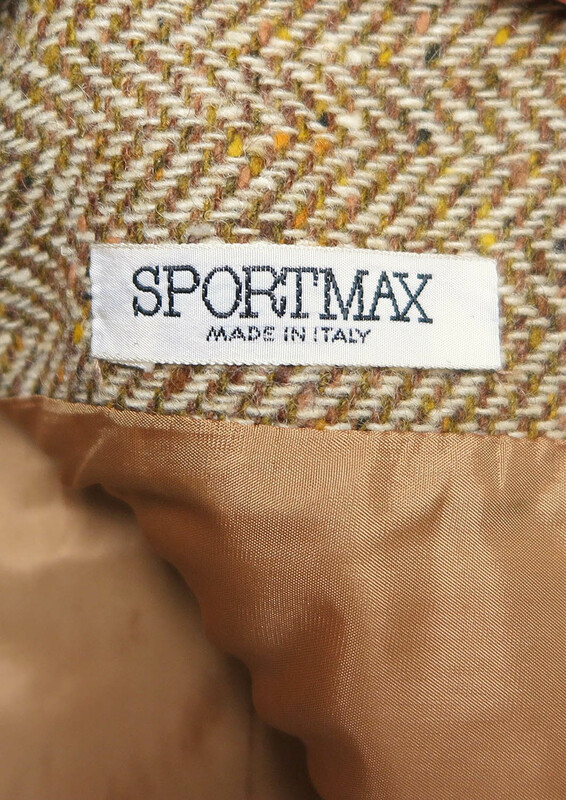 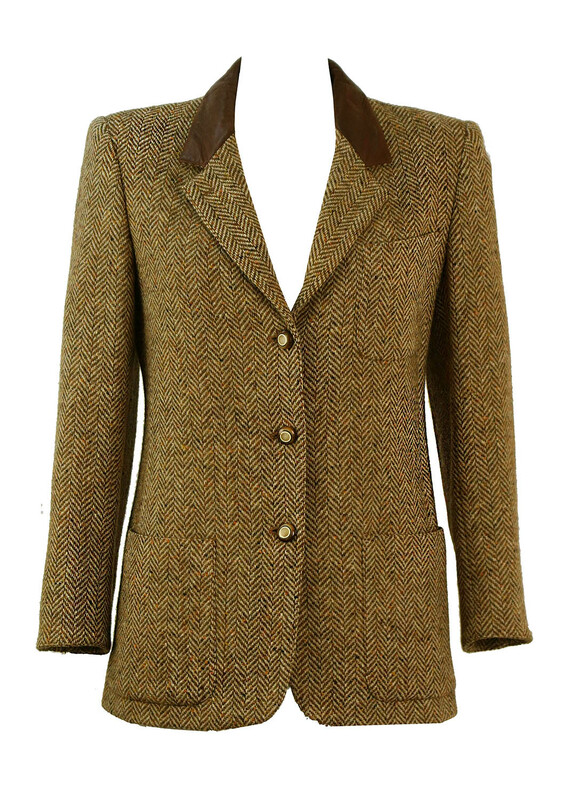 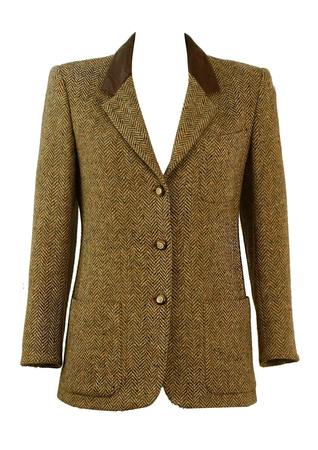 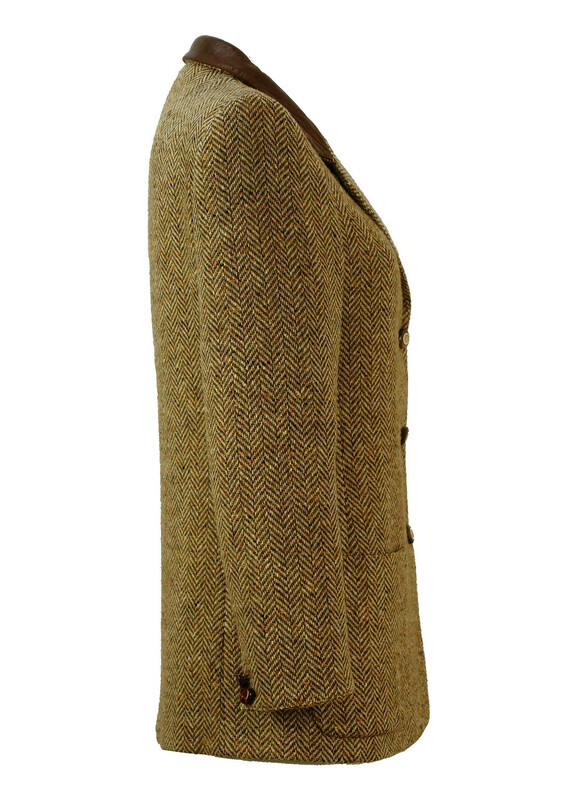 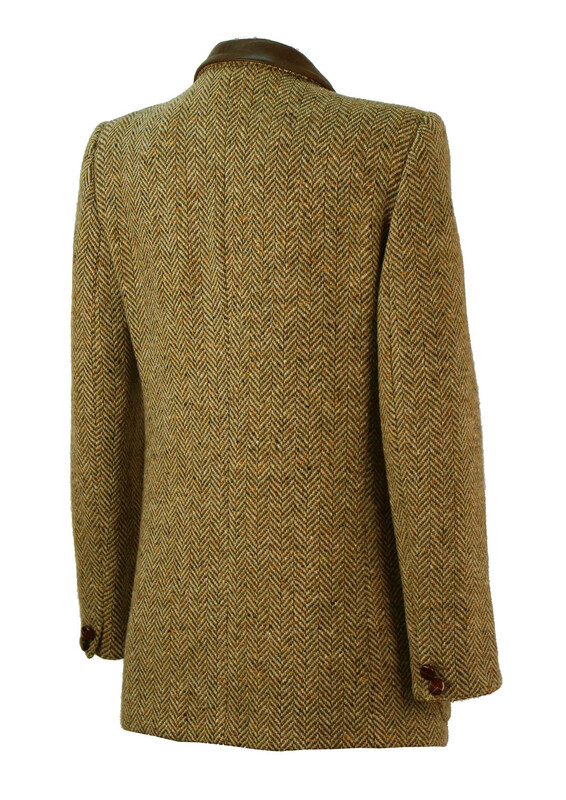 Classic herringbone tweed jacket by Max Mara’s ‘SportMax’ label in tones of cream, brown, green and purple. 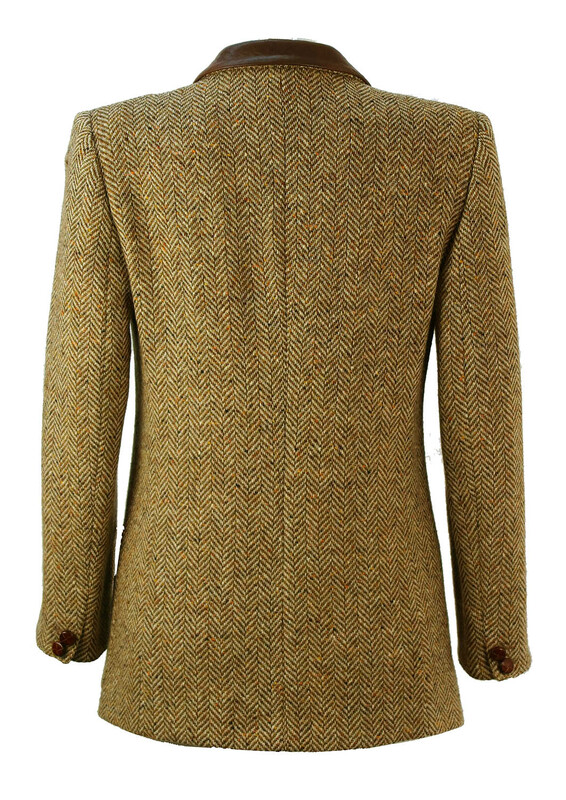 100% wool tweed is flecked beautifully with bright hints of salmon pink, yellow and orange, further complemented by the brown leather collar. 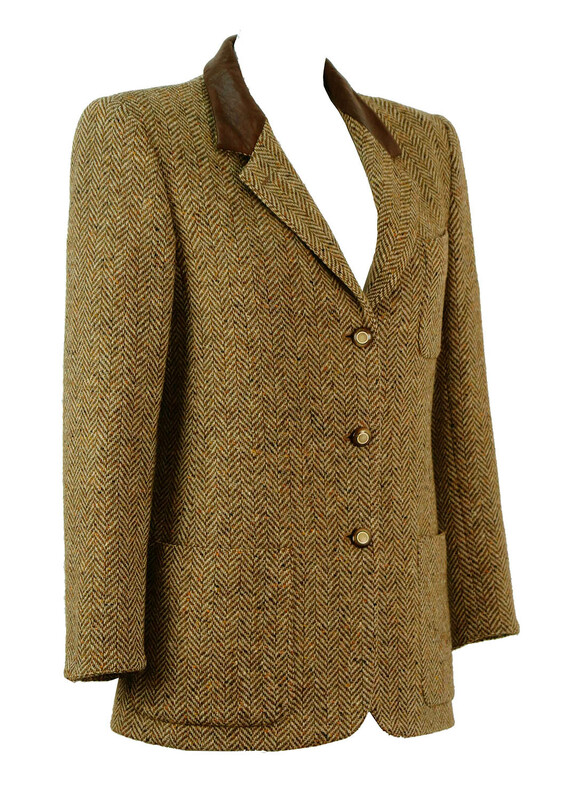 Other features include structured shoulder pads, patch pockets, single-breasted three-button fastening and camel coloured lining.